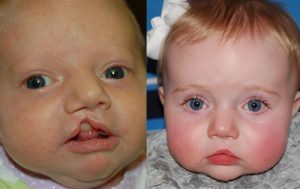 On most occasions, if you have a child that is born with a cleft lip or a palate for that matter, there are higher chances that he or she may have related or additional condition/s that may have to be medically addressed. According to medical experts and researchers, every type of congenital structural kind of defect found in the body of a human being highly represents some inborn error which may go on to affect other systems in the body. 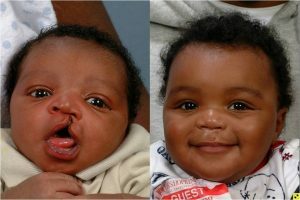 Pierre Robin Sequence is one of the most related medical conditions associated with the cleft. 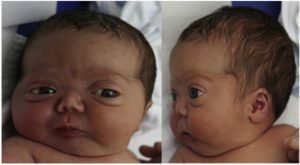 Pierre Robin Sequence is mainly detected short moments after birth since babies born with these conditions are usually born having a small chin than the normal one. These babies will normally possess a cleft palate since the tongue fails to fall into the desired place properly as the baby is developing in the womb. Stickler Syndrome is another medical condition related to cleft or cleft palate though this is a much rarer condition that may often fail to be diagnosed. Stickler Syndrome is genetically based and usually passed down from parents to children. This medical condition limits the amount of collagen in the body of a child making connective tissues weak and unable to function in the right manner. Another condition related to cleft is what is a syndrome medically known as 22q11 or Shprintzen syndrome. This medical condition takes place due to a fault or the malfunction of chromosome 22 and may result in strange facial features, problems with the palate, and abnormalities of the heart or a small soft palate that appears normal but still results in a lot of difficulties with activities such as feeding or speaking. Children born with this medical condition may possess either some or all of the conditions mentioned with each one of them varying in degree. The above are not conclusive. 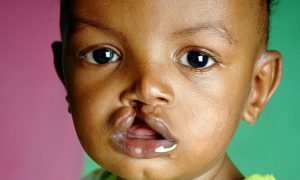 Another condition related to clefts is what is medically referred to as Median facial dysplasia. This medical condition is a distinct, unique, and definable group of patients that are mainly characterized by visible midline deficiencies in the face which may extend all the way to the midline structure of a baby’s brain. If the circumference of the head is less than the normal size, patients may end up having some anomalies in the brain. Apart from the above related syndromes, other rare but related syndromes include Patau Syndrome or Edwards Syndrome that are much serious though they are routinely tested during the pregnancy period. 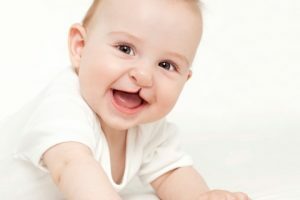 We at Wide Smile have always advised expectant mothers that have a diagnosis of the left clip that their children may develop other medically related conditions to clefts. However, of importance to note is that all these medically related conditions will always be different for a different set of parents. As with palate and cleft lip, at times there will be a clear genetic link, and more than often this is a rare condition that may not be a problem to a lot of families.